Look for the deal of a lifetime? In the market for a new fifth wheel? 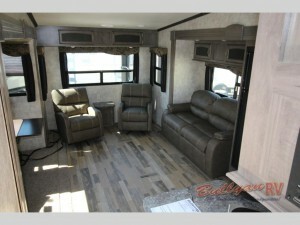 Then you have just stumbled upon one of the most insane deals in RV buying that you could imagine! Find out more in this Winnebago Voyage Review. The Winnebago Voyage 5th wheel is a dream RV with so much to offer, and the 28SGS floorplan is one of their most popular floorplans for the simple reason that it checks off so many boxes in the “must have” section of most buyers’ checklists. 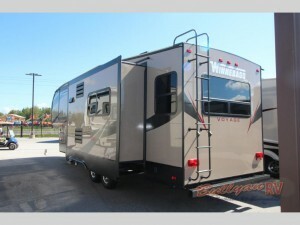 Well, at Bullyan RV, we are so excited to be able to offer one of these Winnebago Voyage 28SGS 5th wheel for sale at a discount price of 35% off – now only $29,995! On a 2017 model, you will get to take advantage of over $16,000 in savings for an RV model that you will never want to leave! Here are just a few of our favorite features about the Voyage that we are certain that you will love. The floorplan of the 28SGS Voyage is laid out in such a way that you will have more than enough space to do whatever RV activity crosses your mind. From an amazing television that hangs over an electric fireplace to an adorable seating area right next to one of the many interior windows, you may not get much “outdoor time” on your next road trip. Check out the gorgeous Winnebago Voyage Kitchen. Love to cook? It’s safe to say that not every meal can be done over a fireplace — not to mention you lose a little of that gourmet in you when you are only able to cook outside. The Voyage 28SGS fifth wheel comes with a kitchen to really get into with plenty of counter space, an optimized layout that makes maneuvering and cooking easy, and residential appliances that are impossible not to love. Over the bed of your truck and in the neck of the fifth wheel, you will find your queen-sized bed connected to your bathroom, making it easy to relax at the end of a long day. With a nightstand, wardrobe, and radial windows, you will love your view in the morning as well as your solitude in the evenings. There is a lot to say about the Winnebago Voyage 28SGS 5th wheel, but one of the most impressive features is this insane price! We also carry many other Winnebago Voyage floorplans if you are interested in seeing more of what this line has to offer. 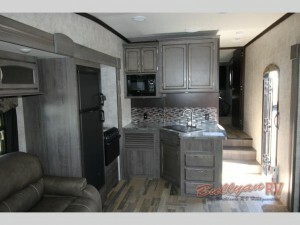 If this sounds like the kind of RV that you really want to get invested into, contact us to find out more about it.